According to a 2013 study, 1 in 8 people suffers from sensitive teeth. Most common among young adults, women, and patients who suffer from gum disease, this chronic oral health condition can negatively impact every aspect of day to day life from what you’re able to eat and drink, to caring for your teeth. It’s important that patients know dental sensitivity is never the norm. 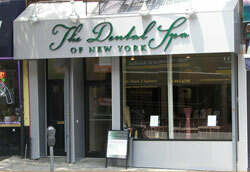 If you experience any level of sensitivity, call The Dental Spa of New York team right away. We’ll help you find the best solution for your situation. 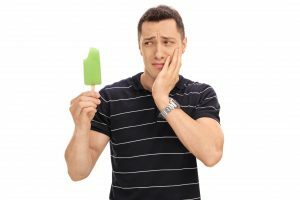 What Types of Dental Sensitivity exist? Patients with mild dental sensitivity may not even know there’s anything wrong. They’re the patients who think sensitivity is the norm, and in these situations, the condition is almost always undiagnosed and untreated. Moderate dental sensitivity typically manifests itself as discomfort when consuming hot and cold foods and beverages. These patients may try to avoid certain foods or behaviors that trigger sensitivity rather than seeking treatment. Those who have the most severe sensitivity may find themselves in pain when completing even the simplest tasks like chewing a meal, and they are the most likely to seek professional help from their dentist. How is Dental Sensitivity Treated?